Assam cricket team on Thursday finally tasted victory after long two years. 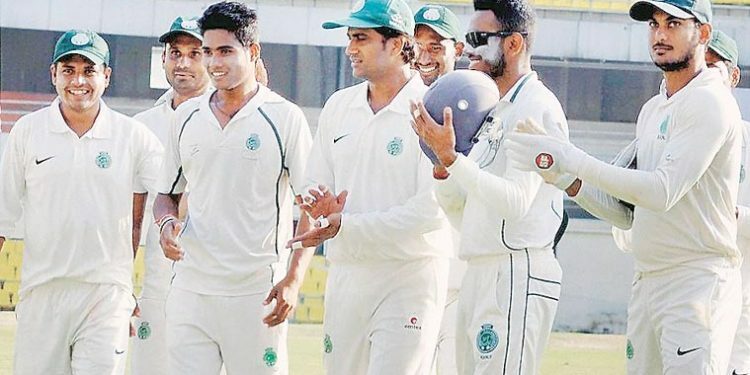 Assam thrashed Assam thrashed Tripura by a huge margin of 211 runs in the Group C Ranji Trophy match at the Maharaj Bir Bikram College Stadium in Agartala on Thursday. Assam had set Tripura a winning target of mammoth 428 runs. Resuming at an overnight total of 68 for four, Tripura were all out for 216. Assam medium-pacers Mukhtar Hussain scalped five wickets for 73 while Ranjit Mali returned with three wickets for 52 and Arup Das took two for 57 that ripped through the Tripura second innings. Earlier in the match that was played at the Maharaj Bir Bikram College Stadium in Agartala, Assam batting first scored 327 runs. In reply, Tripura batsmen could manage only 139 runs in their first innings. Assam declared their second innings after adding another 239 runs at the loss of six wickets and set a winning target of 428 runs for the home team.